Made for the annual out-door sculpture exhibition Tempo Skien curated by Anne Szefer Karlsen. There used to be public spaces where people, more frequently than now, could openly debate issues close to their hearts. Today few personal, unmediated and unedited opinions are stated in public. There are also fewer inter-generational meeting grounds. Bjørn Bjarre actively does something about this. 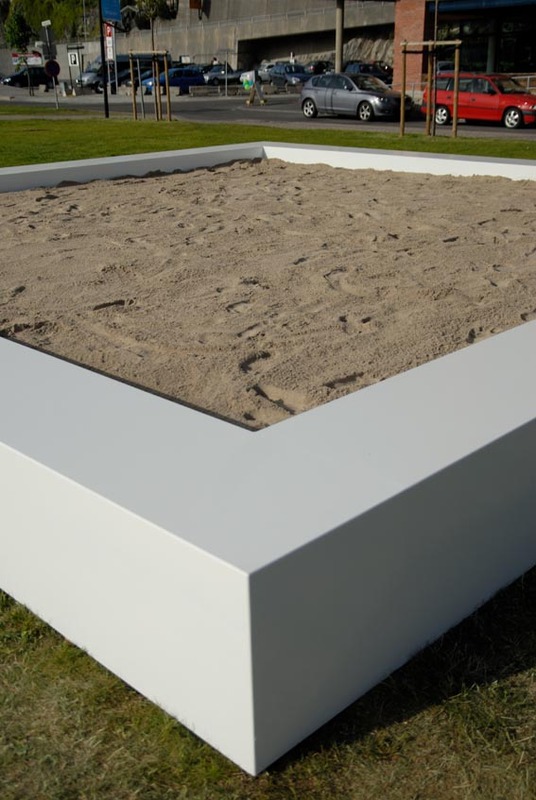 Untitled (Sandbox) is a minimalist sculpture at the same time as it is an enormous sandbox. Our relation to the sculpture is decided by the fact that its proportions are altered: it is made so that grown-ups appear big, or small, in relation to it, just as children do in relation to an ordinary sand box. 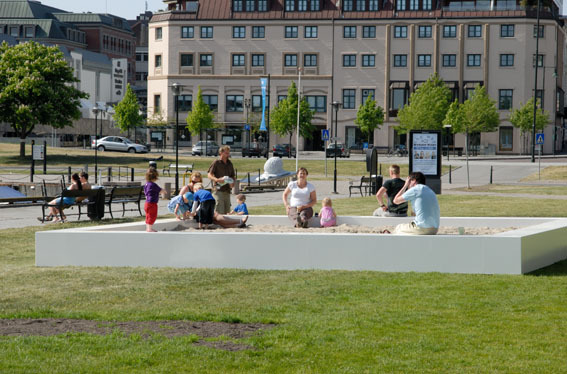 Like a demonstration in favour of art and discussion in public space, the white square in the middle of the park invites us to activity and play.